If I seem to be MIA for the next few days, it’s because I’m prepping for my best friend’s wedding this week. Yep. My first friend and my longest-known friend (27 years!) is getting married this weekend. Needless to say, there is a lot of prep stuff to do here before I travel to Maryland to see her marry the man of her dreams! So if I disappear… you’ll know why! Okay. On to my thoughts… currently. First, how long does a navicular stress fracture take to heal? Does anyone know? Because I’ve been in the boot for 3 weeks and I’m already itching to get out of it. I wasn’t even a runner before I got injured and now, all I want to do is run. Seriously. As much as it sucked that I injured myself exercising, all I want to do now is exercise. Like I can promise the second I get the go ahead from my doctor, I’ll be hitting a running shoe store, getting fitted for new shoes and hitting the pavement. Or the treadmill… depending on what the weather is like when the boot comes off. I feel like I’m crawling out of my skin to do some serious cardio. It’s driving me INSANE. Literally… I just want to run around. I also want to wear two shoes again. I miss wearing two shoes. I also currently can’t find any of my left shoes, which is strange and totally unexplainable. I mean, I put my shoes on and take them on off in the same place. So not sure how that’s happening. And the whole boot/one shoe look is totally not stylish. 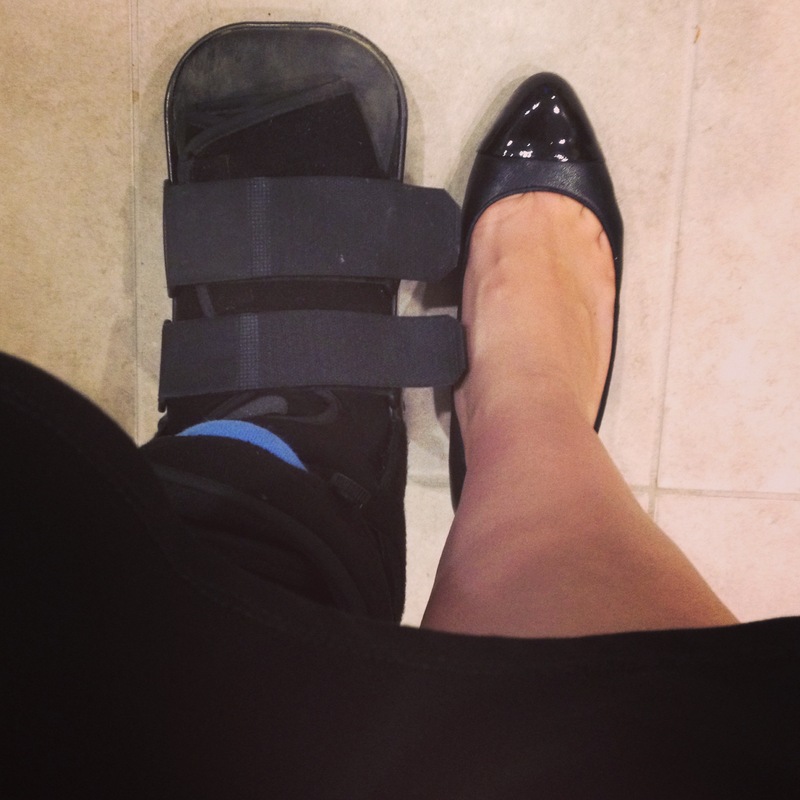 This boot is seriously cramping my style. Hopefully, I’ll have an update, but if I disappear until next week, it’s because I’m traveling!